First, let me praise Train to Busan for being an ambitious shoot, not doubt about it. Given it is a Korean film, and not a product of the Hollywood factory, that is well worth noting. There is more to it, though. This horror movie tells of an infection that spreads throughout Korea and turns people into vampire like zombies (exact definitions aside, you get the point; if one seeks to live, one should avoid these living dead). 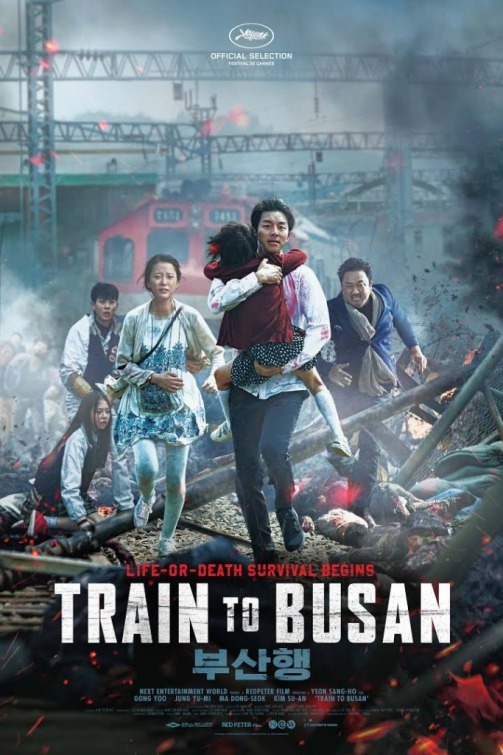 Salvation lies at Busan, hence the heroes of this movie take a fast train (that is, the exact opposite of a Melbourne train) from the capital Seoul towards salvation. But will they make it? On course are very blatant statements on what's important in life and who it is that ruins things for the rest / all of us. I'll put it this way, Donald Trump will not like this movie. I will also note Busan is at Korea’s southern tip. Heading to its safety from Seoul probably holds more meaning to Korean viewers than it does for me, especially given tensions between north and south. Overall: Look, we've seen many such movies already; the main novelty lies with the Korean nature of this movie and the glimpse it gives us at Korean culture. For now, though, I will settle with a score of 3 out of 5 crabs.